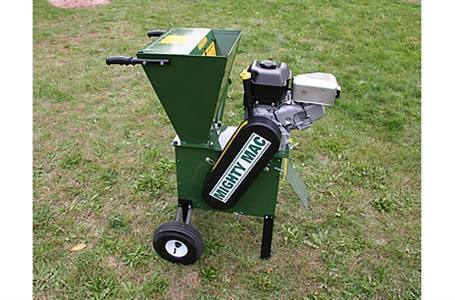 The SC800 shredder-chipper is the smallest hammermill style shredder-chipper offered by MacKissic. 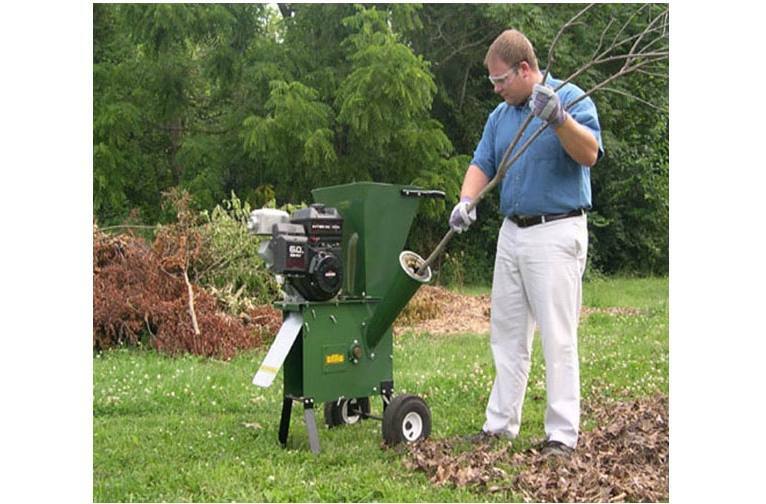 However, do not let the size fool you; the SC800 will shred, mulch, and pulverize leaves and other yard debris. It will chip branches and small saplings up to 2-7/8 inches thick. The SC800 is as powerful as your needs. This hammermill shredder-chipper is fit with a centrifugal clutch, which allows for easy no load starting on the operator and machine. Unlike direct drive machines, the centrifugal clutch allows the the engine to disengage when stressed under a heavy load. This allows the engine to gain RPMs faster and more efficiently pulverize the material. The shredder-chipper is small enough to fit in the garage taking up only two square feet of room. The SC800 features a discharge adjustment allowing the user to focus where the pile of processed material goes. There are different screens available for different material and different reduction sizes. Chipper Hopper Opening: 5-1/2 in. Chipper Hopper Throat (wxh): 2-3/4 in. x 4-1/4 in. Shredder Hopper Opening: 17-1/2 in. x 12-1/2 in. Shredder Hopper Throat: 6-1/2 in. x 4-1/2 in. Rotor Weight (lbs. ): 24 lb. Storage Space (L x Wheelbase x H): 38 in. x 30 in. x 43 in.